The project aims to test the idea of an effective circulation system for material waste from additive manufacturing. Our goal is to map the prerequisites for closer collaboration between material suppliers and additive manufacturers, including new business models, partnerships and logistics solutions. Additive manufacturing yields a large amount of material waste – up to 50% – which may represent more than half of its environmental impact, but also a significant part of the production cost. We estimate that the material cost of plastic additive production could be reduced by 10-30% if waste was recycled, in a close collaboration between material suppliers and manufacturing industry. The project aims to test an idea on designing an effective circulation system for material waste from additive manufacturing through a closer collaboration between material suppliers and additive manufacturers, including new business models, partnerships and logistics solutions. The market of additive manufacturing is a relatively new, but strongly increasing segment. By designing a system for efficient circulation of materials (eg waste and prototypes) early in this growth phase, Swedish industry can become competitive in the field, with a more economically and environmentally sustainable production. The system includes a business model providing incentives for the entire value chain in additive manufacturing, to contribute to effective circulation. 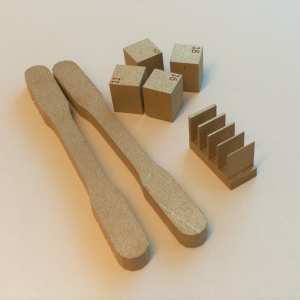 The project will focus on plastic materials for additive manufacturing, but the possibilities to apply the idea/system on metals and ceramics will also be analyzed, to some extent. Technical, economic and system requirements for realizing a circulation system will be tested in collaboration with industrial partners. Today, the industry often uses energy- and time-consuming autoclave processes for the manufacture of composites with high quality requirements, towards for example the aerospace industry. This project intends to design and develop a new test methodology for evaluation of power flowability in powder bed fusion (PBF) systems. 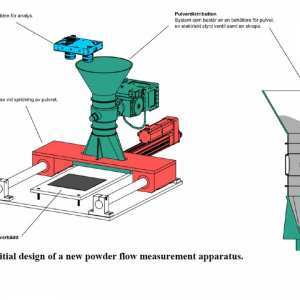 The test apparatus will simulate powder flow in PBF machines and can be used for optimizing the powder layering behavior for potential utilization of alternative powder qualities. Additionally, this equipment creates opportunities for both powder producers and AM part manufacturers to minimize powder waste and maximize material utilization. Reduced lead times and improved performance for tooling through innovative manufacturing and assembly strategies as well as optimised design enabled by use of additive manufacturing (AM).